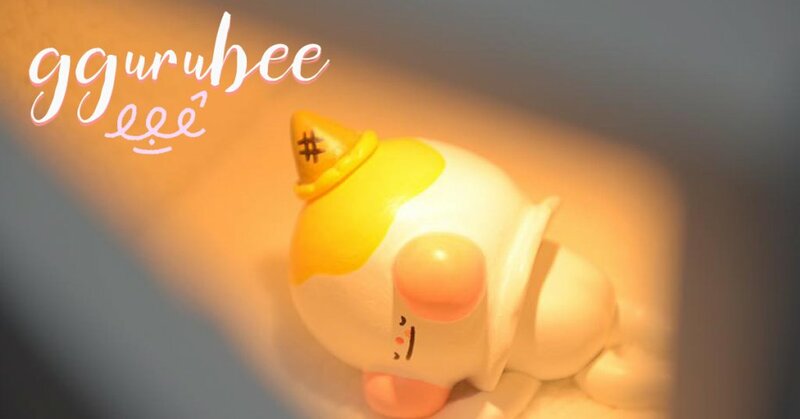 Established South Korean artist ” 꾸르비 eee” recently launched a successful crowdfunding project to launch one of her designer plush “ggurubee” into a bigger manufacturing stage for collectors who keep missing out when eee releases the smaller runs. Whilst smashing her target goal by a whopping 387% eee recently had a solo show “SWEEET TRAVEL” where she teased a resin/vinyl figure of “ggurubee” which is set to be produced in 2018. If its as good as her plush we all should have eyes glued to the screen as ggurubee is too adorable to miss out. Below is the ggurubee by 꾸르비 eee PLUSH from the crowdfunding. Right now no news on when international collectors can get hold of eee cute art toys but she has stated it will be very soon. Stay tuned for further info. Check below for more eee goodness. Find eee and ggurubee at http://ggurubee.com/ Instagram and Twitter.